The drips down the side of the cake are really effective on a higher profile base, but you could use a lower, traditional cake shape as the base if you needed to. The sprinkles add a lovely splash of colour and texture to the cake and offer a few colours that could be matched with the icing. It would be fun to pick out the yellow colour in the sprinkles in the icing or somewhere else in the cake. The pastel shades of this cake are quite feminine, but you could experiment with chocolate and white icing or a blue and white colour scheme, for example, for a bloke. 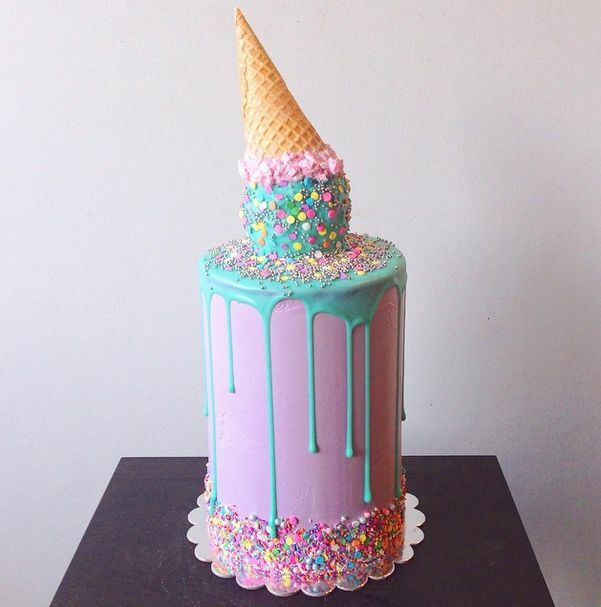 What colours would you use for this cake?